Samsung has significantly closed the design gap between its top and mid-range phones with the new Samsung Galaxy A3 2017. But it’s not the only manufacturer making desirable phones for an affordable price. 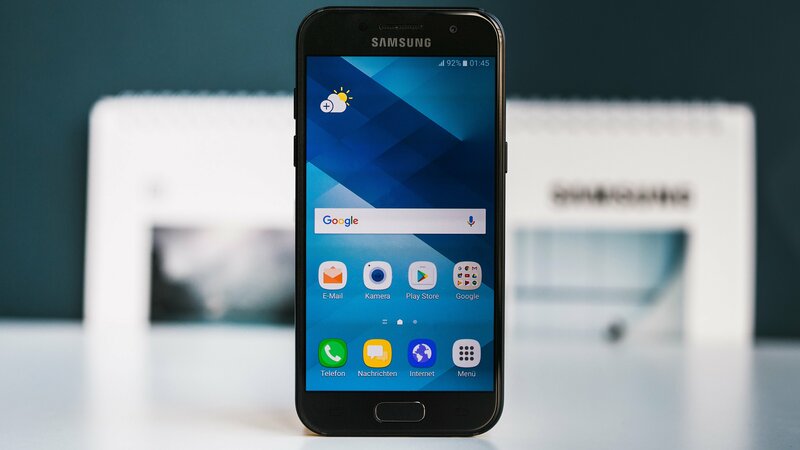 The Samsung Galaxy A3 is a handset for those after a compact phone, one on an affordable contract, or a device that can be bought SIM-free without anxiety-inducing cost. Samsung Galaxy A3 (2017) is a dual SIM device that was launched in February 2017. Huge expandable storage and very good cameras are its major highlights. Samsung Galaxy A3 (2017) comes with 4.7 inch AMOLED touch screen display, Corning Gorilla Glass 4 screen protector both at the front and back, 1280 x 720 pixels resolution and 312.47PPI pixel density. It is available in 4 colors including White, Gold, Pink and Black. It comes with a capacitive screen with multitouch facility. Samsung Galaxy A3 (2017) is built with 12MP rear camera with 4000 x 3000 pixels resolution and 1.8f aperture and 8MP front camera with 1.8f aperture. Camera features include face detection, autofocus, LED flash, touch to focus, ISO control, exposure compensation, geotagging, HDR and panorama. It provides the facility of video recording at 1080p. It has an internal storage of 16GB that can be expanded up to 256GB with a micro SD card. This dual SIM device is loaded with 1.5GHz octa-core Samsung Exynos processor, 2GB RAM, Mali-T830 MP2 graphics and Android 6.0 Marshmallow Operating System. Proximity sensor, accelerometer and compass are in-built. FM radio and GPS are available. It supports MP3, eAAC+, WAV, Flac, Xvid, MP4, H.264 music video formats. This dual SIM device is loaded with 2500mAh Li-ion non-removable battery. Users can enjoy connectivity through 4G LTE (India Compatible), 3G, 2G, Wi-Fi 802.11, b/g/n, Mobile Hotspot, Bluetooth v4.1, GPS with A-GPS, NFC and microUSB 2.0. It takes in 1 regular and 1 Nano SIM card. Samsung has created another solid mid range smart phone contender, and this one looks and feels more like its high end brother than ever. Samsung A3 is the perfect and stylish Smartphone which you are looking for is available in low price.